Primover from Vermodje SRL is an anabolic steroid with a low androgenic (44% of testosterone) and moderate anabolic (88%) activity. The active substance – methanolol enanthate and acetate – for injection and tablet form, respectively. Injection Primover has a prolonged effect due to a long chain of ether. The substance gradually enters the blood from the muscles, and provides a fairly even hormonal background for two weeks. The duration of action of Primover is approximately the same as testosterone enanthate. The only drawback of the injection form of the steroid is the painfulness of the injections. However, this is quite individual, and is well tolerated by many athletes. The oral form of methenolone is not so common. The steroid, produced in tablet form, has a very short period of action – about 5 hours. Despite the fact that it does not have toxic effects on the liver, the high price is not justified. The vast majority of athletes prefer the injection form of the drug due to availability, low price, and most importantly – the uniformity of the ingestion of the active substance into the blood. The minimal phenomenon of rollback. Despite the fact that with the help of Primo’s solo course it is impossible to gain a lot of muscle mass, all the fibers obtained will be dry and will stay with you. No water retention in the body. Primover does not accumulate fatty deposits. Not exposed to aromatization. What is injectable is that the oral form of the drug is not converted into estrogens. You can take Primover without antiestrogenic drugs. Such phenomena as edema and gynecomastia are not found. 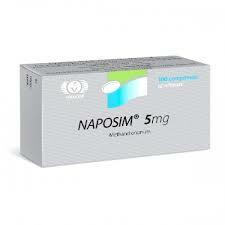 Used at the exit from the course of the use of heavy anabolic steroids. It is best to use the drug during drying to obtain the relief of muscles and preserve their volume. 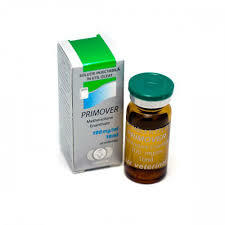 Primover very “gently” affects the body, but do not because of this neglect the recommendations. Dosage for male athletes is between 200 and 400 milligrams of the drug per week, Primover courses range from 8 to 12 weeks. If the dosage is increased to 1 gram, the risk of side effects increases significantly, while the anabolic effect is not significantly increased. Oral preparation is taken at 50-100 milligrams per day with subsequent post-course therapy, which begins several days after steroid withdrawal. Given the weakness of the Primover solo course (this applies to professional athletes), it is often combined with other AAS. The only combination, safe for beginners, is Primore plus nandrolone (for mass gain). More experienced athletes on the “mass” courses can combine a steroid with testosterone esters, Anadrol, Sustanon, Methandrostenolone, and to dry the muscles – to include in the course Winstrol. How to take Primover to women? In order to avoid possible virilization, it is necessary to observe a dosage of 50-100 milligrams. It is strictly forbidden to take the drug before conception and during pregnancy. Due to the fact that the drug is not converted into estrogens, it is considered one of the safest anabolic drugs. The level of secretion by the body of testosterone is suppressed slightly and is quickly restored at the end of the course. According to the studies, the oral form of methenolone, taken at a dosage of 40 milligrams daily, halves the testosterone level at the end of the course. However, this applies to long-term use. At courses longer than 10 weeks to avoid atrophy of the testicles it is recommended to take gonadotropin. 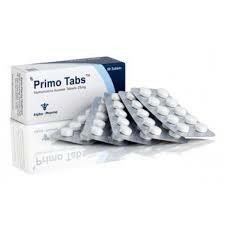 The side effects indicated in the instructions to Primover from Vermoja are minimal, or do not occur at all. 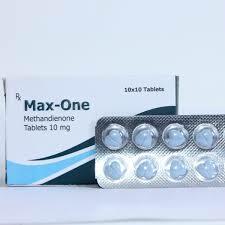 Methenolone does not exert a strong influence on blood pressure, does not cause an increase in cholesterol, very rarely (with “terrible” excess dosages) can cause baldness, aggression, insomnia, excessive excitability and liver damage. How to take a look at some reviews about Primover from athletes who are dissatisfied with the amount of the collected weight. However, the drug is not “mass-gathering”. From it there will be no such “exhaust” as from methandrostenolone or oxymetholone. It is advisable to take it for preservation, and not for a set of muscles. There are also complaints about painful injections, most of which leave the girls. Reviews of Primover from Vermodje from athletes of different levels are reduced to the fact that the drug does not have the phenomenon of rollback, aromatization and other side effects. Bodybuilding professionals use a steroid as an additional remedy on combined courses and are advised to start with it for those who have not yet taken anabolic steroids.